Wanted: Photos of your art! 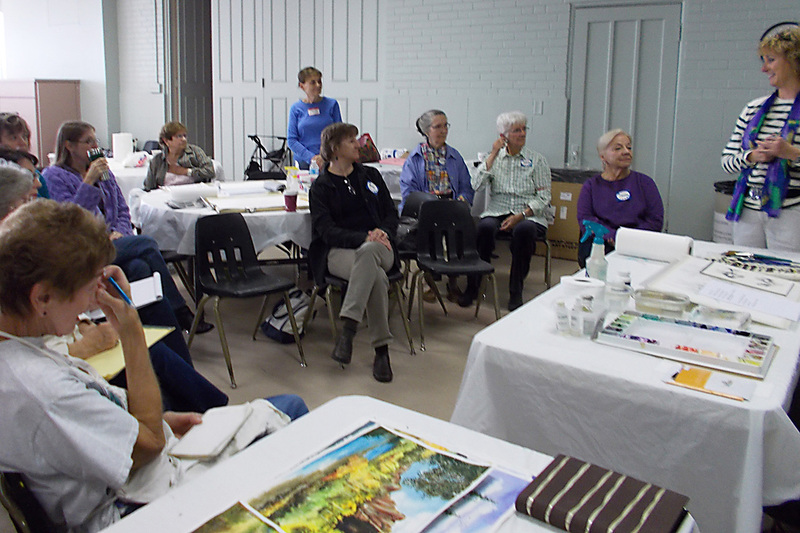 The Heritage Fine Arts Guild's workshop with watercolorist Chuck Danford was well attended and enjoyed by all. Chuck is a warm, generous, artist who answered all of our questions with a smile. He has a huge amount of experience and a great sense of humor. Many of his paintings are based on photos he's taken of animals. His wild animal paintings are created from photos he took on an African photo safari. 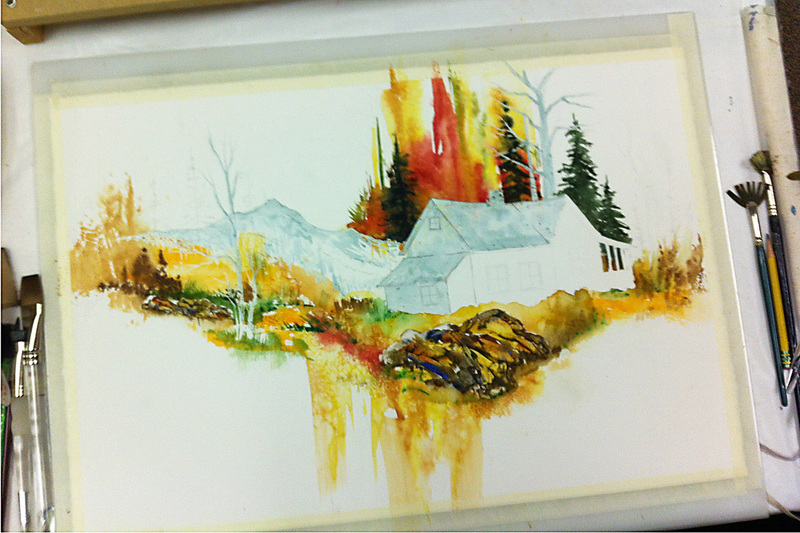 He also does beautiful, bright, colorful landscapes. 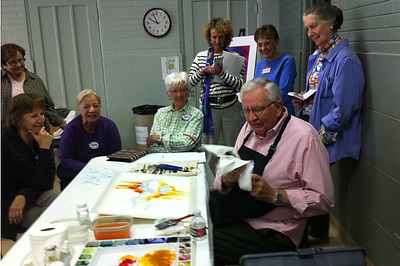 He brought a landscape he had drawn before the workshop to use as a demonstration for us during the class. Here are some of the things we learned . 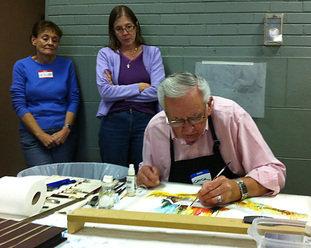 . .
Chuck starts a new painting by drawing the subject on tracing paper. This allows him to change things without drawing and erasing on the watercolor paper, which could damage the paper. After he is satisfied with his drawing, he transfers it onto the watercolor paper (Arches 140# cold press) with graphite paper, not tracing paper. His demonstration painting was a "vignette." This is a style with much of the paper left white, especially the four corners. He recommended . . .
Start working with the lightest colors and then move to ever-increasing darker ones. To lighten an area, rewet it and then wipe up the water. Burnt Sienna and Ultramarine Blue make a nice gray. Soften a hard edge with a clean, wet, toothbrush. Rub it over the hard edge and then dab it with toilet tissue or paper towel. Royal and Winsor Newton brushes are his favorites. One of the exceptional traits of a HFAG workshop is that even if its focus is on a media, technique or subject matter you aren't familiar with, you'll come away with new ideas and a renewed excitement about your art. If you haven't taken a workshop before, you should make a commitment to your art and attend the next one.